We encourage you to use the club facebook group or the forum on this website to say if you are riding and which group you wish to ride with. This will help members plan ahead and should avoid you turning up for a ride to find you are the only rider. Please say if you intend to ride as others may think nobody is going and not bother. It has been evident than when riders say they are attending the numbers increase. 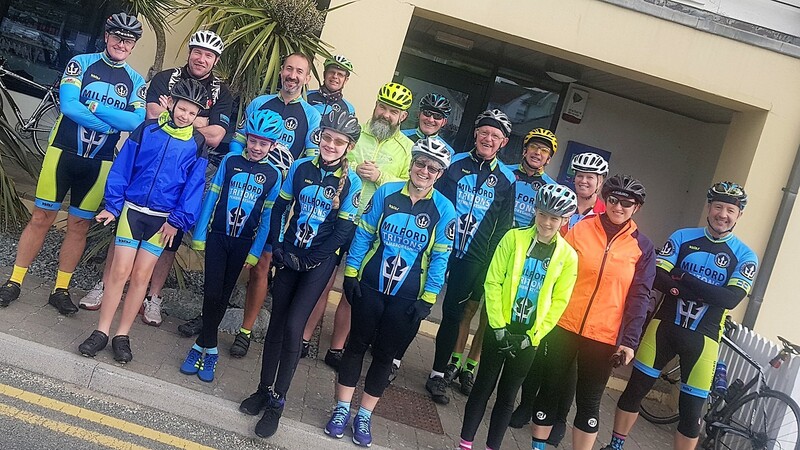 SUNDAY 27th – COFFEE RIDE – The Coffee Ride will go to Broad Haven as it always has with all groups riding there together at a suitable pace (group size decided on the day). IMPORTANT: Routes for the return to be decided by the different paced groups – one group will always go back to The Meads. This entry was posted in Club Rides, Uncategorized. Bookmark the permalink.